This is the last date for the year to what has proved to be a very popular series of mornings of practice at the Hut of the Happy Omen in Cheltenham. The morning has sittings, walking periods in the bush, a talk, a discussion and a shared lunch. The mornings will be in silence from 9:30 to 1:00pm apart from the discussion and any necessary communication. They will be all-weather events. If it's wet we'll be looking out on rain in the bush. Please bring a plate of food to share for lunch, as well as a plate or bowl, cup, cutlery, a hat, sunscreen, and sitting gear. There are chairs in the hut. Tea will be provided. 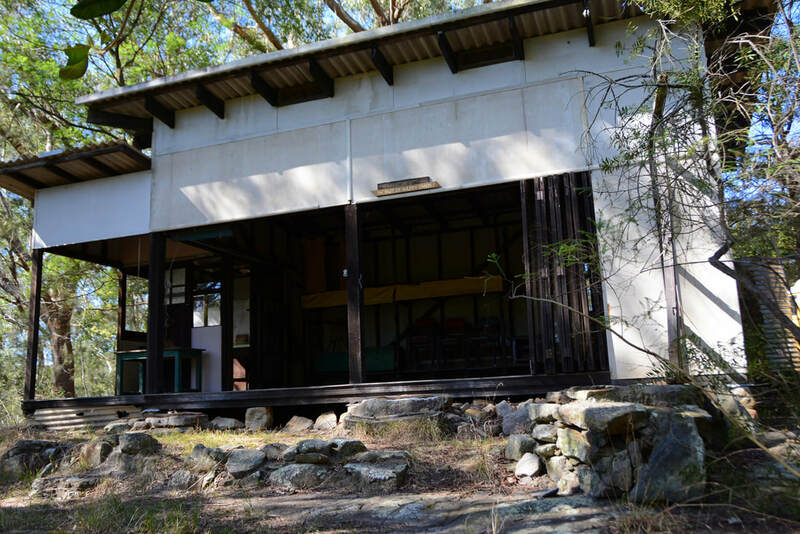 The Hut was built in 1949 by Marie Byles, one of the founding members of the Buddhist Society of NSW. It was built for dharma practice and it is very much in it's original condition with original furnishings. It is now owned by the National Trust and part of Marie Byles larger property called Ahimsa Sanctuary. It is mostly open on one side and looks out over bushland, part of Pennant Hills Park, and over the small house where Marie Byles lived. There's established walking tracks in the bush accessible from the Hut. The Hut is about a half hour drive from the Sydney CBD and a fifteen minute walk from Cheltenham station in north western Sydney. We're grateful to the National Trust for being able to use The Hut of Happy Omen. Cost The program will be run on a dana basis. There'll be a basket to cover the small per person cost to the National Trust and a basket for the teachings. and you will receive directions to the Hut. There's a limit of 16 people for the morning due to the size of the Hut. ​ Bookings can only be made for the next morning of practice scheduled.